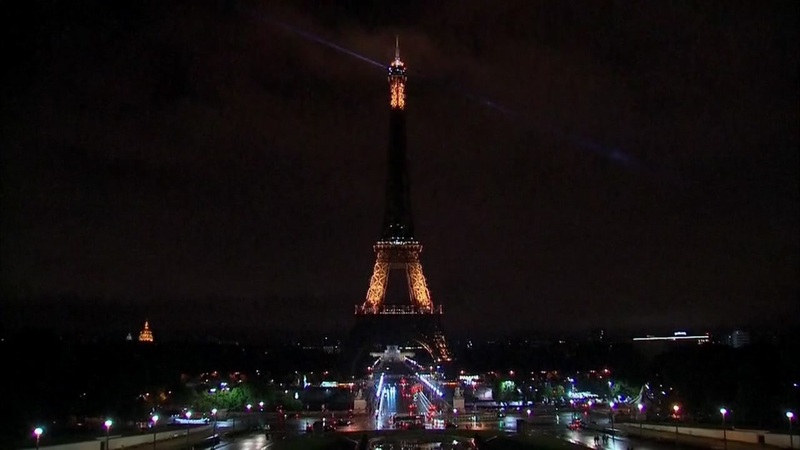 PARIS (KGO) -- The Eiffel Tower went dark to pay tribute to the3 victims of the Barcelona attack that left 13 dead and hundreds injured Thursday. The Parisian monument has turned off its lights in solidarity after an array of terror attacks around the world. The last time the tower was dark was in May after 22 people were killed at an Ariana Grande concert in Manchester, England.